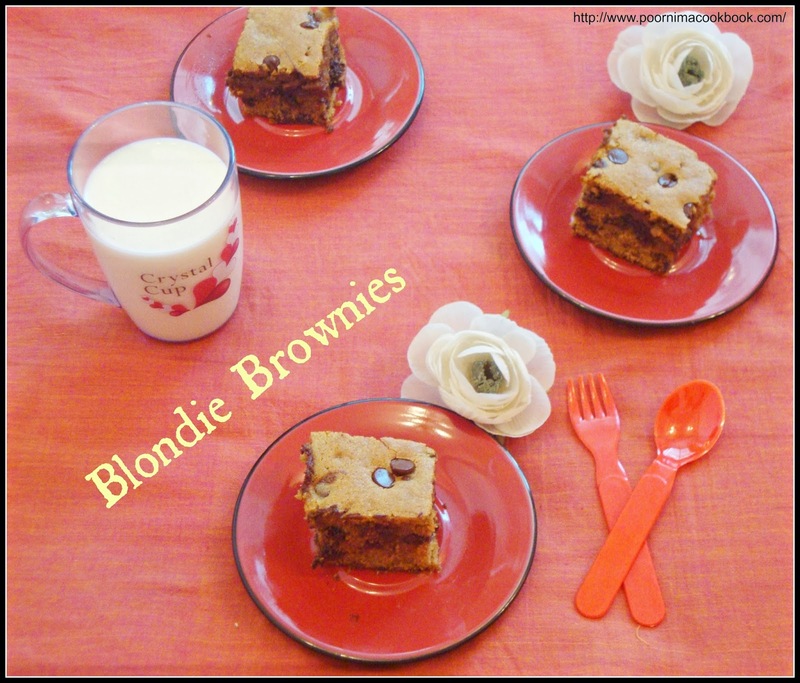 Hi friends, here is Blondie Brownies for Home Baker's Challenge. This month sharanya of just not the cakes is hosting the event and she has selected recipes related to the " American Food Holidays". 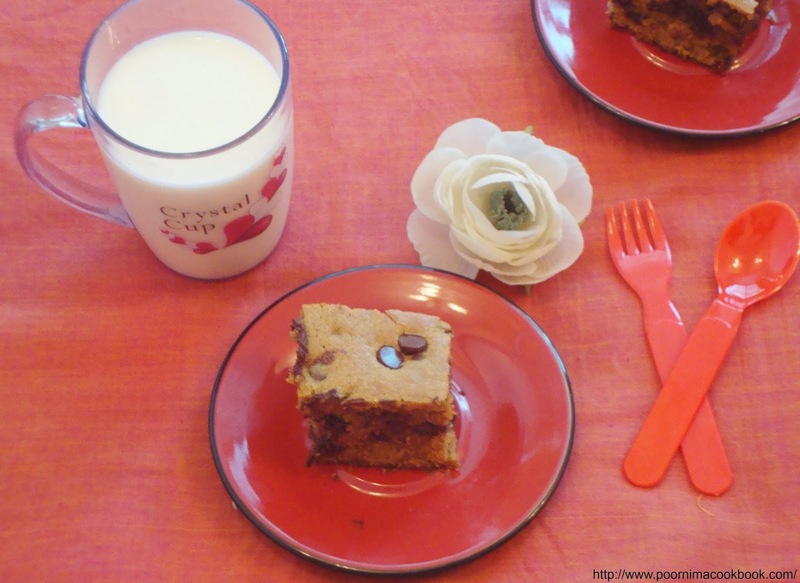 Among these I preferred to bake Blondie Brownies which came out so soft and delicious and this recipe is adapted from All recipes. 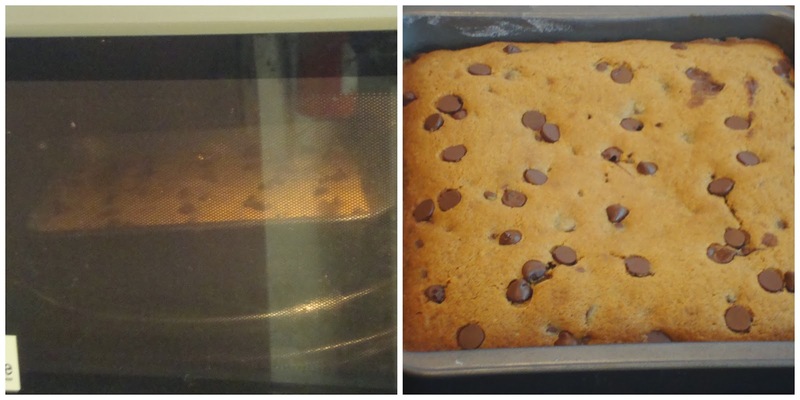 Blondies resemble the traditional Chocolate brownies, but are based on brown sugar instead of Cocoa ; they are sometimes referred to as blonde brownies. They are baked in a pan in the oven similar to how traditional brownies are baked, then cut into rectangular shapes for serving. Thanks to Priya Suresh for starting the group and also for hosting this month's challenge. To know more about Home Baker's Challenge click here. Preheat oven to 180 deg C and prepare your baking tin (grease with butter / oil and dust it with all purpose flour); keep aside. 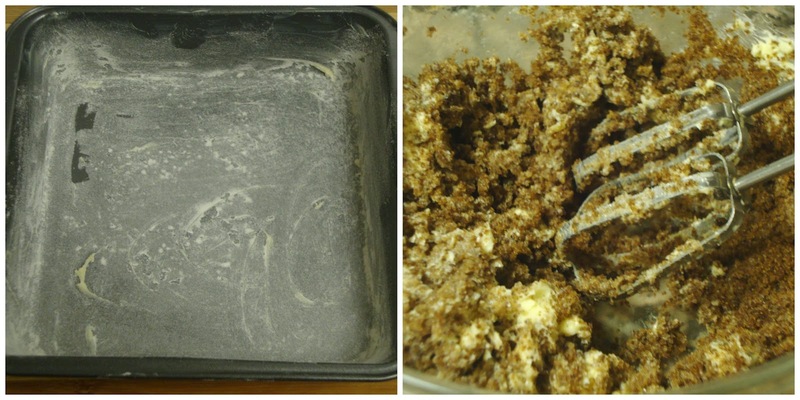 Mix all purpose flour, baking powder and salt in a small bowl; keep aside. Beat brown sugar and butter till it becomes fluffy and light. Add vanilla essence and eggs one by one; beat it thoroughly. 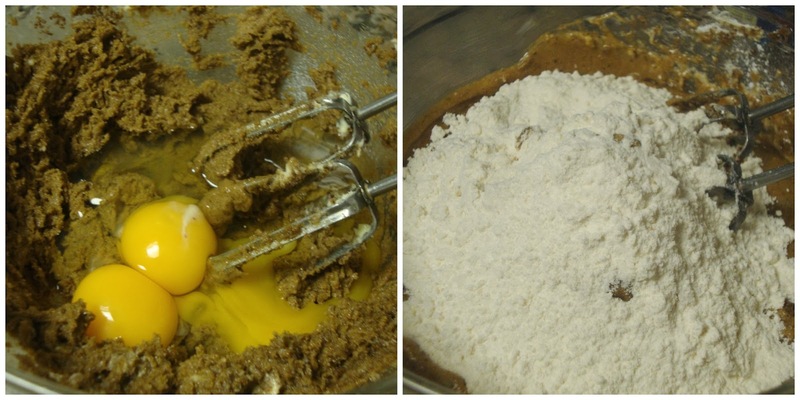 Fold in the flour mixture into the wet ingredients; use the spatula to mix evenly. Stir in morsels / choco chips and Spread into prepared pan. 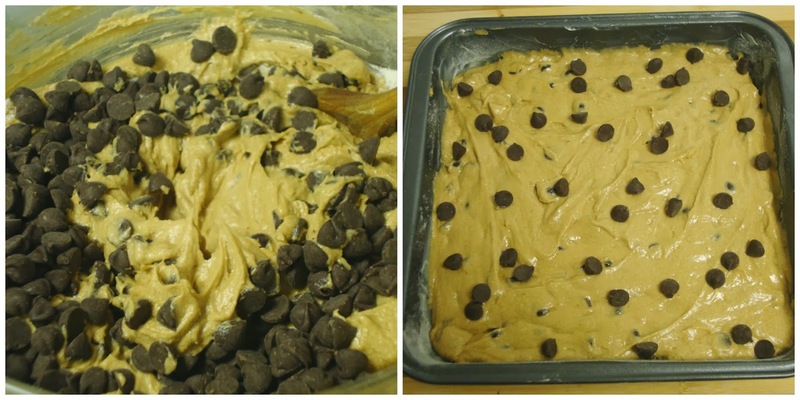 Pour the mixture into a greased baking pan, and bake at 180 deg. C for 20 to 25 minutes until a toothpick inserted into the center of the cake comes out clean. Once done, remove the cake from the oven and and allow it cool . 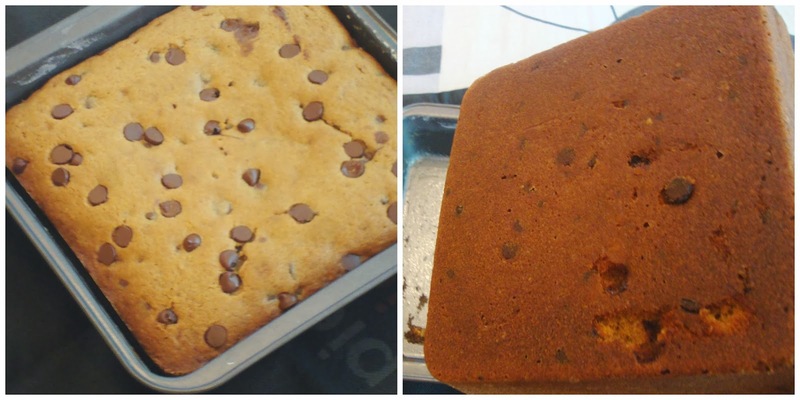 wow fantastic blondie brownies :) very well baked and lovely presentation !! Yummy.... Really an Irresistible Chocolate Treat.